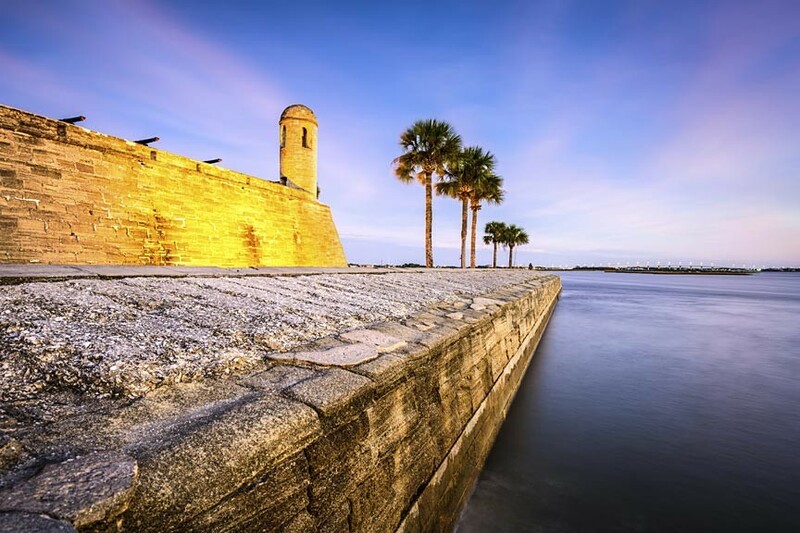 Tour Saint Augustine and see Castillo de San Marcos, The oldest masonry fort in the continental US! Romantic St. Augustine, Florida is the oldest continuously occupied, European-established settlement in the United States. When you tour Saint Augustine you’re stepping well back into a long, rich, and fascinating history. Known as the “Ancient City,” Saint Augustine was initially settled in 1565 by Spanish admiral Pedro Menéndez de Avilés, who can also add first governor of Florida to his resume. With a city that’s been around for well over 400 years, you know there’s going to be plenty to see and do – and Saint Augustine does not disappoint! Its cobblestone streets lead to both historic landmarks and quaint eateries and unique shops, alike.